I held the box in my hand curiously, looking at the Blue letters That spelt my name. The box had no return address so I was nervous to open it. Mark sat looking over my shoulder curiously "so are you going to open It?" I furrowed my brows together"I don&apos;t know.. I mean I want to know what inside its just kinda scared to." Then I remembered my first day at school when I came home.there had been a box on the steps addressing me and inside was the hoodie I now wear everywhere. I took a picture edge of the box and pulled the tape off. I opened the box and peeked in side. I saw a little white paper on top of something green and black. I pulled out the paper and reached in the box. Mark took the paper reading as I examined the crocheted hood scarf. Dear Sean, I saw you were shivering and holding your hat  when you were walking this past week. 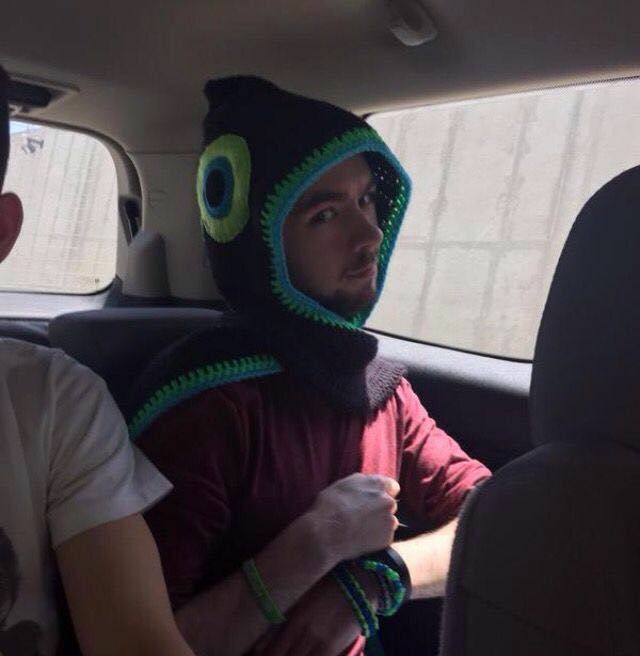 So I made you this neat hood scarf. I hope it fits. I see the hoodie I gave you fits just fine. I heard Mark curiously hum, as I put the hoodie of scarf on.i liked it but..who gave it to me? 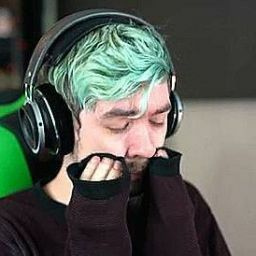 "hey jack who is Sean?" I looked back at him. "well first it&apos;s pronounced like Shawn, and that&apos;s me. I thought you knew that, it&apos;s on my school records." He shrugged then he furrowed his brow. "So you seem to have admirer..kinda creepy they know your name." I nodded, but they did apparently care for me. " hey I will admit it&apos;s cute on you." He leaned over kissed my neck. "Sean" I playfully bit at him. I looked over at the clock,5:30. It was getting that time food. I then heard Mark&apos;s stomach growl confirming it was time to eat. I leaned back placing my head in his lap, he smiled taking my hood scarf off and began to play with my hair. "I&apos;m hungry..you want pizza?" I asked as his fans ran through my soft brown hair. He thought about a minute before nodding his head yes. After we ate our large pepperoni pizza, I eating about half, I sprawled out on the couch as Jack went to go change into pjs. It was kinda weird to look up and see I was here. And it was weird that Jack  was my boyfriend and he acted like he was instead of my student.It was nice to show a human side of myself and be as if it was a regular relationship and not a teacher student weird mash. I sighed smiling as a lied back closing my eyes, relaxed and with out realizing fell asleep. I walked into the living room pulling my shirt down. "Hey, Mark do-" I stopped as I realized Mark was sprawled out on the couch asleep. I smiled seeing how adorable he was. I watched his chest rise and fall when a thought popped into my head,time for a little pay back for earlier. I slowly crept up to Mark,careful not wake him. The way he was sprawled out made it a little hard to get to the side of him.as I got closer I heard Mark moan in his sleep and rolled over. His face seemed to redden but he didn&apos;t awake. I then slowly crawled on top of him straddling his waist. Mark Moaned again and I froze,but again Mark was fast asleep. I gently place a hand on his chest,and I began to slowly run my hand down his chest,I sat on him feeling him slightly shiver but again not wake. Damn Mark you&apos;re a heavy sleeper. As my hand traced his chest further down, my fingers met with his pants line. I slowly slipped my hand into his pants watching as he squirmed underneath me,turning  a scarlet red. I then began to slowly palm him through his boxers,earning a moan from him. I smiled leaning down next to his ear. "...Mark...oh are you having fun....?" He slightly arched his back whimpering.I took my other hand and began to pull Marks pants off. I was half way with his pants when I felt a hand grab my wrist gently,and I heard a panting. I looked up at Mark and saw him red as hell and looking at me. "oh..you think..you can just.." I smiled at him micheviously leaned close to his ear and with a light whisper I spoke. "will this help...?" With that I began to Palm him again but a bit faster. He bit his lip but gave in to the moan. "J-Jack!" I then finished taking his pants off. I stopped palming him and scooted down his waist till I was eye level with his boxer line. I looked up at him, he was a hot mess, his glasses were fogged from him panting and he was red biting his lower lip. He nodded as I leaned close to his boxer&apos;s edge taking it in my mouth. I began to slowly pull his boxers down with my teeth my nose barley brushing his skin. He shivered a little, I then came but to his &apos;problem&apos; I smiled and slowly began to take him in my mouth. He arched his back moaning softly as I began to bob my head back in fourth. He grabbed a fist full of my hair tugging it slightly. I moved faster causing Mark to rise his voice in a squeak. "jAck....I&apos;m going. " I pulled back leaving a trail of salvia as he came out, he lied back panting  and breathing heavily. I smiled at him wiping my face, Mark blushed and began to pull up his boxers.